Yogurt is a delicious vitamin-packed food that is great for breakfast and can also be eaten as a healthy snack. But did you know that yogurt also has great benefits for your skin when applied topically? 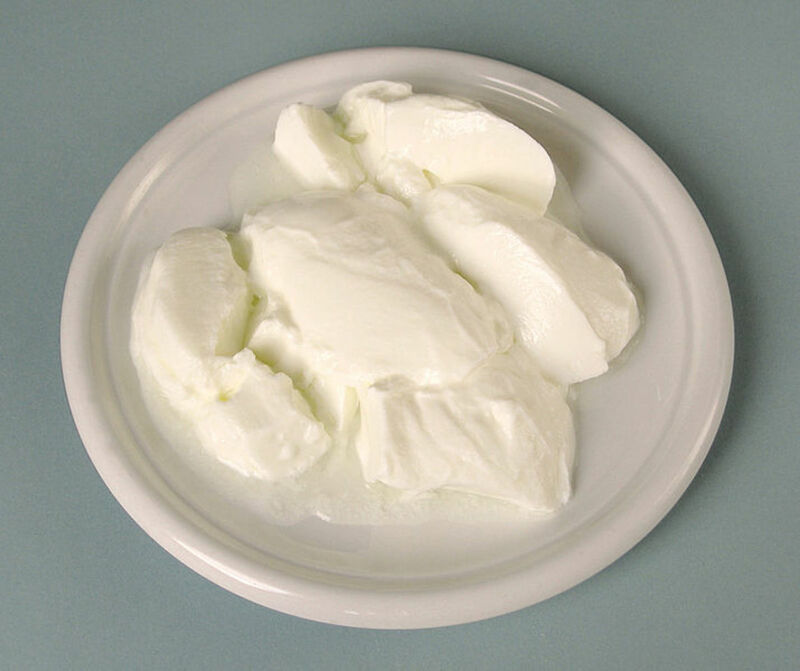 Yogurt has been used on skin for beauty benefits since ancient times. In India, using yogurt for skin is still valued as a great way to clear acne and pimples. 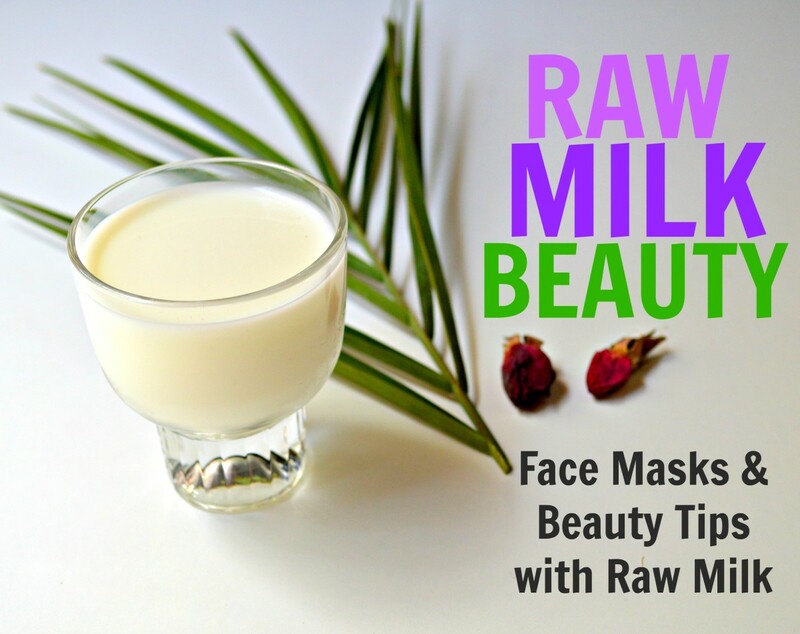 Even Cleopatra from ancient Egypt was famous for her daily sour milk baths that kept her skin glowing and youthful. In this article, we are going to explore yogurt's benefits for skin, the powerful nutrients responsible for these benefits, and easy homemade recipes that use yogurt for healthy, glowing skin. Yogurt contains a powerhouse of nutrients that are especially good for skin. Contains anti-inflammatory properties, which can help reduce red swellings caused by acne or rashes. Is a mild astringent, which means it can help tighten tissues. Is necessary for cell reproduction and growth of tissues. Helps regulate oil production in the sebaceous glands, thereby preventing oily skin and frequent acne breakouts. 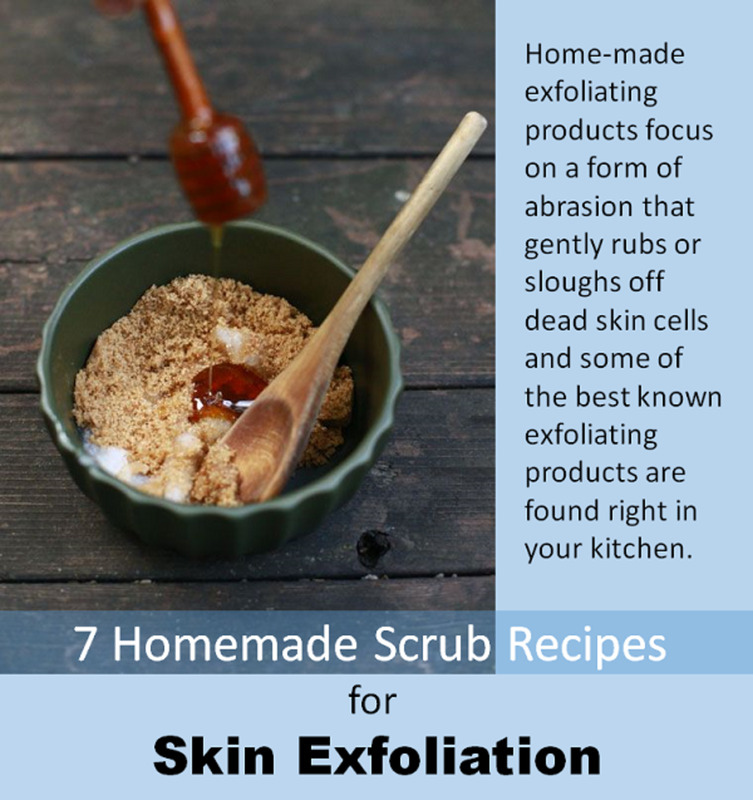 Exfoliates and moisturizes dry skin to make it smooth. Helps prevent wrinkles and reduce the appearance of already-existing wrinkles. Contains antioxidants that help prevent and heal dry skin. Riboflavin keeps skin glowing and hydrated. Riboflavin is necessary for cell growth and regeneration. Riboflavin protects skin cells from oxidative damage by free radicals. Vitamin B5 is responsible for facilitating the manufacture of healthy fats in cells. Plain yogurt contains important nutrients that are good for your skin, including lactic acid, zinc calcium and B-vitamins. When buying yogurt to use on your skin, make sure to check that your yogurt is the unsweetened (plain) type. Flavoured yogurts may cause irritations and aggravate any existing pimples or rashes. Buy the yogurt that contains fat and live cultures to see true beautiful results. Yogurt cream and Greek yogurt are options that have a thicker consistency, which is not necessary, but can keep your face mask from getting too runny and making a mess. Once you have bought a yogurt with live cultures, it's easy to use it to make your own batch of yogurt. Applying yogurt on your face regularly can lessen the visibility of blemishes and moles, make freckles disappear, and lighten suntanned skin. You don't need a lot of yogurt for a nourishing face mask—one or two teaspoons should do. To add a twist to this mask, add a few drops of lemon or orange juice. These juices are an added bonus because they contain citric acid, which is known for its skin-lightening properties. Make sure you limit yourself to three to five drops of lemon juice—too much citric acid can burn your skin! 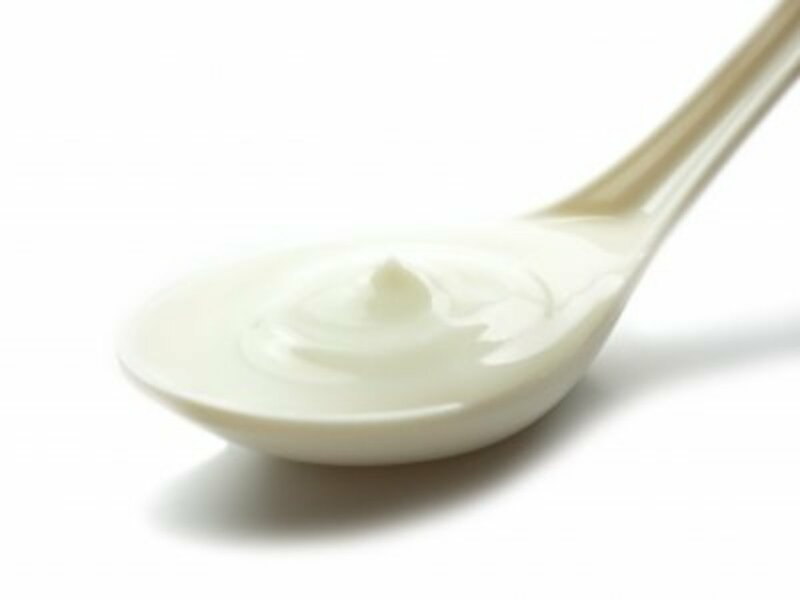 To shrink and tighten large pores on skin, gently spread a teaspoon of plain yogurt on your face. Wait for about 10-15 minutes for the skin to absorb the mask, then rinse the yogurt off with cool water. Quick Tip: Immediately after removing the face mask, remember to use a moisturizer (if you want to go natural, you can use olive oil). This is because the yogurt mask can leave your skin feeling a bit stiff and tight. There are many home remedies to get rid of acne—and fast. Yogurt is a key ingredient used in these many remedies, mostly to create nourishing face masks. What makes yogurt so special is that you can reap the skin benefits by either eating it or using direct facial application. Taking yogurt orally works just as efficiently as putting it on your skin. Yogurt is acidic in nature, which helps it destroy the various acne-causing bacteria and germs from within your body. One of the most valued benefits of yogurt for skin is that it has anti-aging properties that help fight off free radicals. Free radicals are dangerous to the skin because they strip oxygen molecules off of skin cells, thereby damaging them. Free radicals also cause fine lines and wrinkles to appear on skin. Quick Tip: When waiting for the yogurt mask to dry, ensure that you don’t smile, talk, or move your face muscles. You don't want to stretch your skin as the yogurt is making it taut—doing so may actually form wrinkles on your face! Take a fun yogurtastic quiz! What flavour yogurt should you use on your skin? Strawberry, for pink fluffy cheeks! Mango, with nuts 'cuz I'm nuts! Yogurt is packed with nutritional properties which can highly benefit your skin. You can make your own DIY homemade yogurt face mask recipes with ready made kitchen ingredients. I recommend yous going on youtube there is a woman on there called khichi beauty she uses foods from your kitchen to treat the skin shes amazing ..check her out shr looks amazing to ..besutiful blavk woman ..
Can i drink home made yogurt drink like blend it with water ad drink it? Can i use use curd two times a days for blackheads and few scars? Is using yogurt on face everyday safe? Or should i use it just 3 times a week? Thanks for your answer. I bought some yogurt, blended plain lowfat 1.5% milkfat. Total fat 5%, sat fat 13% sugar 17g would it still be effective? I am Black American. I want to know exactly what to buy don't want to waste precious time. I will repurchase please respond. 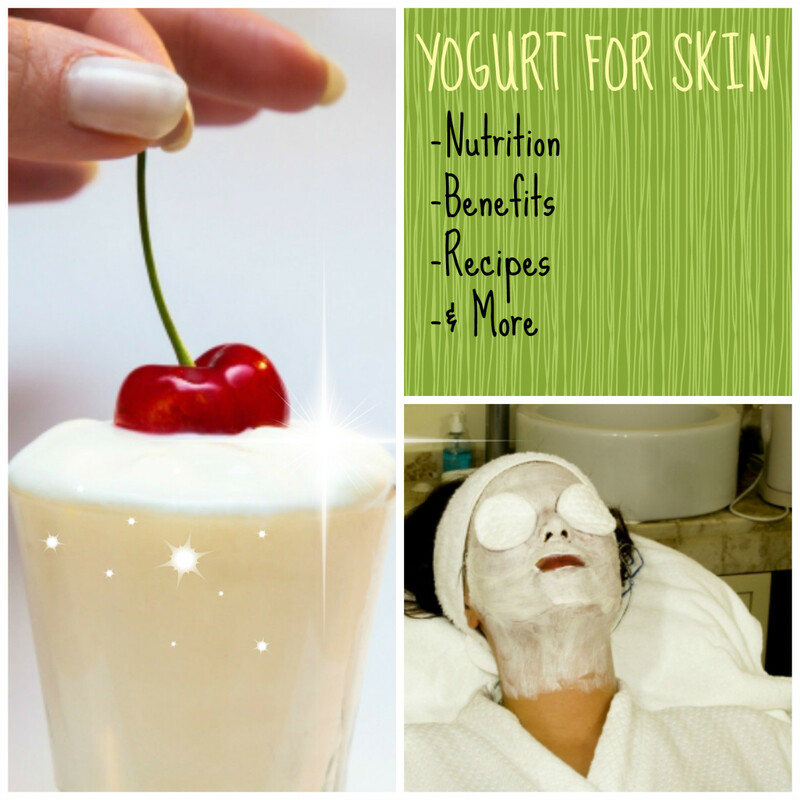 yogurt for skin - what kind of benefits yogurt have? Hello, I'm a 57 year old man and I just tried the yogurt mask and my face has never felt so good before. I have to admit my dog is looking at me kind of strange but that's ok by me. Thx for the tip. Hi,can we use citric acid(lemon,potato,orange) daily on skin ? I used plain yogurt as facial mask for 2 days now and the effect is so amazing. 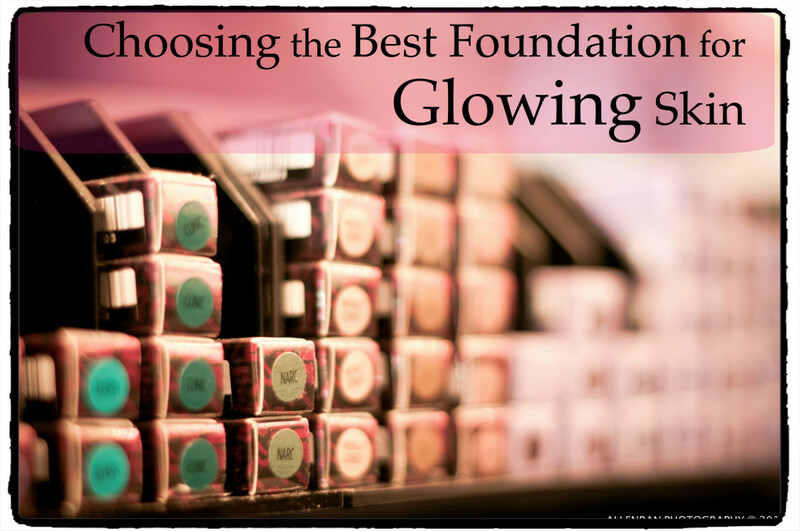 my dark spots lightened and my face is smooth and glowing! I found the perfect facial mask ! Yogurt is great for natural remedy of dry skin. I'll have to try it with lemon as I read it above giving much better results on skin. Glad for u all posting ur wonderful views! I'd like to share my experience regarding the concern of Open Pores on Face skin. Recently since a week I started drinking 3 liters of regular water daily and I'm surprised to notice the open pores started shrinking. I feel that if I continue to do so, the open pores will disappear one day. Drinking water is always helpful to maintain good health. My post may be helpful for some. Hi i have a question??? í started to do the yogurt mask(it's just yogurt and tea tree oil for acne ) í bought a organic plain yogurt but after i remove it my face feels súper greasy ** like í rubed lard on my face** is that normal for a plain yogurt or the yogurt has to much fat in it. What kind of yogurt brand should i use? What kind do you use ? How much fat should the yogurt have? Specially for oily skin people. Can we use yogurt for skin lightning Without mix lemon drops ? My question is can I was use yogurt as face wash after coming from outside to home to remove dirt from my face instead of using soap or face wash products . My second question is I have small holes on my face dose using yogurt will help. thnx for this yogurt article! i had been having zits, acne and pimple lately. but now it is becoming lesser and my skin become smoother. i recommend each and everyone of u.
Hi.....thnx for a nice unhurmful remedy...but I'm 14 years.my hands are lighter and my chest is lighter than my face..can I also use the yoghurt? Thanks for this article. I wish I knew this when I was 16-17 when I started getting acne vulgaris. These have now left scars (pits) on my face. I'd like to make a recommendation that everyone use greek yogurt. The only difference between Greek and regular yogurt is that Greek yogurt is extensively strained- meaning it will be thicker. The girl in the video in this article was using very runny yogurt- I can get a perfect thick white layer on my face with Greek. Hi healthmunsta! Thanks for replying to a question I asked about sunscreen, now I understand that we should use physical sunblocks more. Do we massage it into our skin either during application or upon washing off the mask? Or do we just apply then later rinse off. I am always confused if I would get more benefit to massage or better not to. And can we also apply it to the under eye area? Is it good for that area or will make lines and circles there worse? Live cultured plain yogurt contains an abundance of probiotics and enzymes that help heal our skin. When you find yourself red and sunburned, it can help you recover faster. I'm 29 years old and I have these really dark brownish spots on the bridge of my nose, my cheeks and above my eye brows and above my lip. I have been trying dark spot correctors and I hVent had much luck. I can't afford make ups to cover the spots. I am desperate to find something that works. Do you think the yogurt mask will help me? Should you wash your face with plain water or soap after using the yogurt face mask? Wash your face with plain water and pat dry with a cotton towel. If you use soap, you will dry out your skin and will literally be reversing all the goodness you just got from the face mask, thanks to the harsh chemicals in soap. @ Sally: Thanks for your important question. For quite a while now, we have all been led to believe that sunscreen is an essential item to "protect" your skin from the sun. But recently, people are all waking up to nonsense they have been fed. Many well known people and celebrities have openly declared that they quit sunscreen. Even Dr. Oz says your sunscreen may actually be poisoning you! Chemical sunscreens don’t sit on the surface of the skin – they soak into it and quickly find their way into the bloodstream. Use other methods of avoiding the sun, like standing in the shade whenever possible, using hats or clothing to cover your face etc. I hope you do further research on this topic and I hope this was helpful to you. Hi! Thanks for this article! Above you said "You know, it's really funny how people don't mind applying artificial products like sunscreen containing harmful chemicals such as oxybenzone, titianium dioxide, parabens etc twice a day..."
So please please tell me do you think sunscreen is bad for our skin, and if we go out in the sun it is better not to put? Or yes even if it contains those bad chemicals it is still better then having nothing on to protect from the sun? Because I have been wondering about sunscreen a lot since once I read someone said it is bad. Yet I still always use it. Hi can u please tell me? after using yogurt mask hw to wash my face just with plain water or with face wash?? can I use kojic soap after putting the yogartmask? How can these vitamins possibly be absorbed through the skin let alone bind with the existing structure to benefit in the long term? I do believe that the lactic acid will help with exfoliation, but the vitamins and nutrients? I don't know. I want some sources, especially since you use language that implies incorrect ideas, such as pores being able to shrink and enlarge. They can become bigger by rough handling of the skin, but only their appearance can be altered to make them seem smaller. 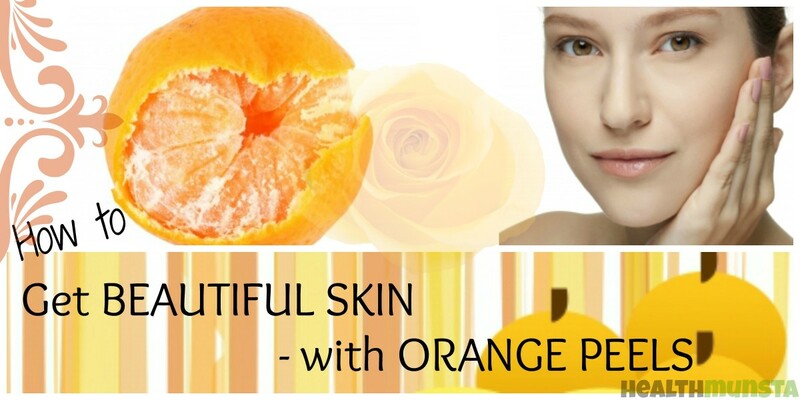 I do know that topical vitamin C for example can help slow down the reducing of collagen production. Hi I did try the yogurt on my face after I clean and leave it on until 10mins. I'm soo astonish the very dark spot on my face right now slowly fading. I'm soo glad you shared this beauty secrets. I have questions can I use the yogurt on dark spot armpits? thank you for very effective tips for face mask. i already tried it. I have very oily skin as well as some red acne mars, will the yogurt and lemon be helpful on both issues?? hhi this is saima I am using steroids cream on my face bcoz I am suffering from bad rashes and pimples I have oily sensitive skin with lots of open pores whiteheads and blackheads plz suggest me how to use yogurt when ever I use moisturizer I get rashes plz help me. Yogurt is great for sensitive skin! But please test on a small patch of skin, like your inner wrist or inner elbow to make sure you don't react negatively. Yogurt is very soothing and better to apply on sensitive skin that other cosmetics that you buy. @Miyuki: You may use a mild face wash if you wish. You can use yogurt alone everyday on your face. But coupled with other ingredients, especially potent ones like lemon, only use the face mask once every 2 days. @Phyllis: When it comes to natural health/beauty care, you need to give your body and skin time to get the natural ingredients they are supplied with and start using them to heal whatever condition you have. Keep in mind that skin takes 35 days to completely renew itself, so continue doing your routine for that entire period and in little over a month, you will notice people complimenting you on your even and radiant complexion. Now let me tell you a secret, no one has the patience or resilience to stick it out that long. But for those who do, the results speak for themselves. I have just started using yogurt and lemon, with honey. It works well, my skin is soft to the touch, but does this work for pigmentation as well. I have used prescription after prescription, from dermatosis, and they did seem to help. Tell me, would this yogurt mixture work over time? If not who home remedy would you recommend. Please respond. Hi.. i want to ask you if after using yogurt can I wash it with face wash or not? And how often can i use yogurt face mask? Thank you! Hello everyone! There should be no problem applying yogurt on your face daily. It's completely natural and will do you no harm, only good! However, if you are seeing any negative changes due to daily usage by any chance, then cut down on the number of days you apply it. Applying sunblock, moisturizer etc after applying yogurt is fine. @Imogen, If you have expired yogurt which does not look or smell bad yet, I reckon you can use it topically for a few more days. I have used 2 week old Greed yogurt before and I had no problems! But I may have just been lucky - so if you have any doubts about it, just throw it out. Plz tell me after using this face pack can we apply sunblock? And i am 20 now can i use this pack daily? Hi! I bought a tub of plain greek yogurt for the mask but the expiry date is 10 days later and I could not finish. I only used about 1/4 of the whole tub. Is it okay to continue using after the expiry date past or should I get a new tub? inner part of my thighs(between two legs) are darker than other parts of body.can i use that mask or is there any masks as home remedies for daily application? @tomy- Yogurt has antibacterial properties and is effective to fight acne, so you shouldn't have any problems with this mask unless you are allergic to any of the ingredients. Just mix it with honey and see how it goes. If you don't like the result stop using it. @sugar- There are many homemade remedies you can try to reduce dark circles. If the circles are inherited is more difficult to eliminate them. Try adding more vitamin C to your diet and drinking more water. Sleep 8 hours, reduce salt intake and use creams containing vitamins E and K. A good concealer can camouflage dark circles very well. i have mixed skin.i hope to use yogurt and lemon mask.but i have a doubt about pimples because yougurt is oily product. (now i don't have pimpes)can i use thAT mask for my skin..if i can use that mask can i use it daily?plz answer me soon.. I use yogurt in many facial masks. It has great anti aging properties. My favourite mask for the face and neck is mixing natural yogurt with Manuka honey in equal parts. Very effective and simple. hii... i am 22 yr old and now i am having pimples..i am only using plain yogurt(no lemon ) , when it dry i wash it off and mosturize my face..but i am applying it 2 or 3 times a day..its natural and i can see the result.. i want to sure that am i doing in right way using it 2 to 3 time a day? @Imran: You know, it's really funny how people don't mind applying artificial products like sunscreen containing harmful chemicals such as oxybenzone, titianium dioxide, parabens etc twice a day; but when it comes to something natural and safe like organic/homemade yogurt, they begin feverishly doubting if that would be dangerous to apply everyday. Now, I'm not attacking you in any way - I'm just giving everyone some food for thought. Applying pure yogurt, preferably homemade, or at least organic with no harmful ingredients (make it a habit to read the labels, people), is not dangerous. Unless you have any allergies (confirm by taking a patch test on your wrist), you can trust yogurt to give you innumerable benefits for skin. Your Article is perhaps the only one which suggests that yogart can be safely applied daily. Can you please confirm it. Moreover how about adding honey and olive oil. Anyway thanks for the great article with best wishes! @hajrah mehveen: Sorry for the late reply, I've been quite busy lately! You have to understand that hormonal acne is very normal in your teenage years, when your body is going through a lot of changes. When I was around your age, believe me when I say I had terrible acne on my forehead. I used to cover up my forehead and I tried all sorts of acne creams and soaps but nothing worked! Everyone told me it was just a phase, and that's the truth. You'll outgrow this, ok? Make sure you follow the steps given here. Get a small notebook and write down key points so you don't forget. Hope this helps. Wish you the best! Thank you, everyone, for sharing your thoughts and comments! 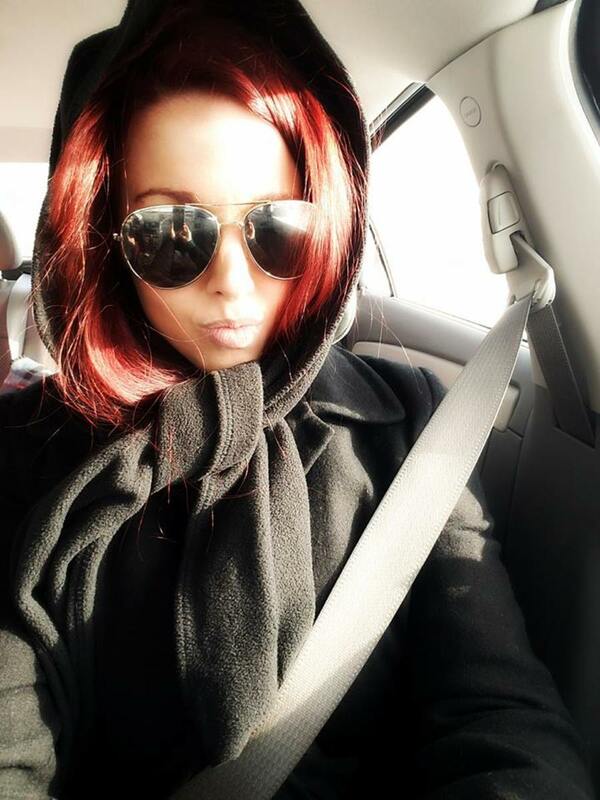 Natural is the way to go, people! I love natural face masks and the only 'night' cream I apply is aloe vera gel before sleep. I have tried so many facial night creams, I can't recall them all. But for the money, I still love Made from Earth's Olive Night Cream is the best. It goes on smoothly and soaks in quickly. I get told I look younger than my 47 years, and I think good genes and this have helped! I also love the very light fresh scent and so does my husband. Hi. I came across your article while searching for home remedies for my acne. Ive had acne all of my life and just recently started breaking out badly, don't know why but after trying different home remedies to no avail i decided to use the yogurt mask last night and after I washed it off my skin felt soooo smooth. I could see and feel my pores tight and smooth. This has never happened before. I followed up with hemp seed oil as a moisturizer as i read that that is one of the oils out of many that does not clog pores. When i woke up this morning my skin wasn't oily like it usually is and those pesty pimples have dried out. Again, thank you very much, you're a life saver. I will definitely keep using this. @ Hanes, sleeping with face masks on? - Sandalwood powder will dry on your face and may block your pores and prevent them from breathing properly. Besides, after a face mask dries, it's effect is over. So there's no point keeping it on the whole night. Another thing; when your face mask dries over your skin, it tugs on your skin tightly and remains like that for all the 8 hours you sleep. This will cause premature wrinkles. Let's not forget the cleanliness issue; the dried sandalwood and yogurt mask will crumble and fall all over your pillow, bedding and clothes, which will require even more work cleaning off. One last point. When your dried face mask starts crumbling away on your face, dare you open your precious eyes - the flakes of the dried face mask get into your eyes somehow and give you the time of your life! 0_O I'm sure that's happened to you before, am I right?! My advice is that you apply your face mask for 15 mins and wash it off. Sleep with a clean moisturized face and your skin will be fresh and glowing in the morning. Hello everyone, I'm back again after another short hiatus. @People using runny yogurt - it is possible for you to discard the water part of your yogurt by straining it using a cloth. Place your runny yogurt into a cheesecloth or any clean cotton cloth, tie it and let it hang overnight. By morning, the water will have drained away and only the thick yogurt will be left in the cloth. Use this yogurt. Now using runny yogurt will give you some benefit, but since it's obviously diluted, it won't give you full benefit. Use thick yogurt instead. thank you sooo much have a wonderful night and happy Valentines Day..
My apologies for not getting back to you all sooner, but I've been terribly busy (and still am) - I'll try to answer all your questions quickly. @ R.nicole.W & Rayleane - You can use homemade yogurt, if you have a yogurt maker. If using store-bought yogurt, Greek yogurt would be the best. But plain, unflavored, unsweetened yogurt is what many use for their face masks. Don't fret, just get plain yogurt with no flavorings and no artificial sweeteners added. Hi... i read your article and its awesome. I have questions though. I normally apply sandalwood on my face, so if i start using the yoghurt face mask, can i stop using the sandalwood mask? Could you please tell me if this is also helpful in removing dark spots, undereye puffiness and dark circles? I'm not supposed to expose myself to sunlight only when ive applied lemon on the face or am i supposed to hide my face even if ive not applied lemon? hi healthmunsta i want to thank you for the helpful tip i choose to purchase the yogurt which particular one would you suggest?? using runny yogurt will give effect or nt??? I'm using sandalwood powder mix with yogurt every night. i will only wash it on the next day. Is it good to leave the mask on the face until the next day? Chili, I don't know the size or nature of your facial mole. Some moles are tiny while others are larger. Some moles raise slightly above the skin, others are more pronounced. Some moles are very dark colored, others are like blemishes. Using yogurt with honey on your moles may help, but you are better off using something like banana peel. Rub the inner side of the banana peel on the mole for 1 - 3 weeks, and note the difference. If you're mole is really affecting you, then it's best to see a dermatologist for help. Some moles can be safely removed by surgery. I want to tell you that without seeing your mole, I can't give you clear advice. Besides I am not a skin doctor, so seek the advice of a qualified professional, where necessary. However, I can assure you that these natural remedies have no harmful side effects, and you can try them out with a free conscience, unless of course you are allergic to any of the ingredients. Sent from my phone, please forgive any typos. i hve moles in my chin so use of yogurt will remove mole?? Hey, no need to use 3 times a day - just use only once, like in the morning, and that alone will give your skin many benefits. Yes, you can use homemade yogurt - just make sure you use thick yogurt, not the runny one. No problem, you can use powder once in a while if you must, but remember that powder contains harmful chemicals which can harm your skin in the long run. I will write about the dangers of powder soon if I get time. Try to avoid powder in general. But you can use it for rare occasions like when taking photos etc. we can use 3 times in one day ? n i m using homemade yogurt thts rit or nt?? As this article explains, yogurt alone has many benefits including fighting acne, cleansing skin pores and regenerating skin cells. You may use yogurt alone and you can enjoy the benefits for skin, most of which are mentioned in this article. Lemon has different properties, mainly best used for skin lightening. 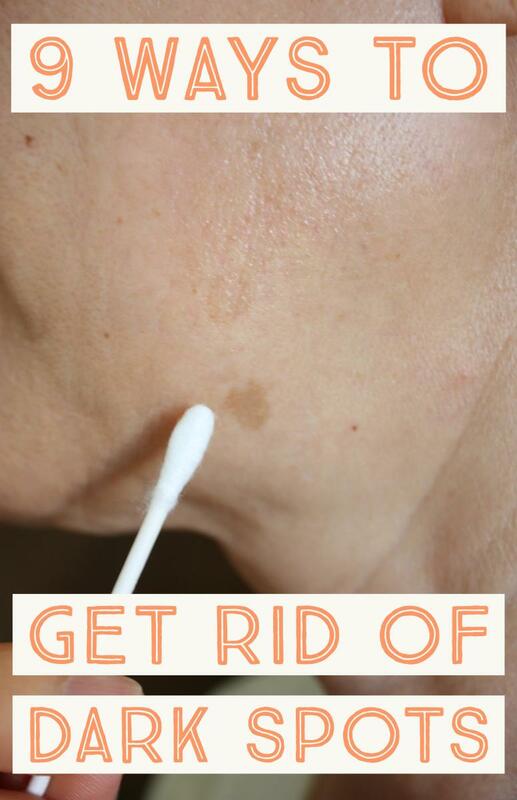 It also fades acne scars and reduces blemishes. If you combine yogurt and lemon, you will get the benefits of both in one face pack. The benefits of this are already clearly explained in this article. Please read through it again for any clarifications. if we use only yogurt without lemon wht effect will give on face?? n using lemon wht effect will cause?? we can use cream instead of oil or vasline ??? No, not at all! Using this face mask will not cause wrinkles. In fact it will rejuvenate skin cells and make your face look youthful and healthy. But the general advice is not to smile or talk while your face mask is dry - it will tug on your skin. That's all. As for using lemon and going out in the sun - for skin lightening, you should not expose your skin to direct sunlight. When you use the lemon, it will slough off dead cells from the top layer of skin, revealing new skin cells. These new skin cells will be more sensitive to sun rays and may produce melanin quicker. Using a moisturizer after using a face mask is desirable. I moisturize my face every after washing, even though I don't have oily skin. Moisturizing helps to keep your skin cells hydrated. You can just moisturize with a tiny drop of coconut oil. In my case, I use aloe vera for moisturizing. Hi Barbie! Thanks for your question. When you apply any face mask, it will start sticking to your skin cells as it dries. So when you talk, smile etc, the natural lines which form in your face, will become deeper because of the dry and hard face mask. It's better to remain quiet for just 10 minutes and allow the face mask to do its job. Hope this answers your question. aswm....thanx a lot bt after using dis why we can't smile n we can't talk ?? @ sean: No need to stop using clean and clear. Just try out this face mask at least once every 2 days, and see it if works out! @ Samantha: No problem, you can use plain greek yogurt too. Can you use plain greek yogurt instead of regular yogurt? I use clean and clear its cleared 95% of my face. That last five percent is destroy my confidence. I have a few stand out pimples. Do I stop using the clean and clear for this or add both.? Hi Jenna, I'm sorry to hear about your predicament especially at this age. Use this mask once a day, either in the morning, or at night after you take all your makeup off. Keep it on for 15 mins or until it dries out. If you don't have time, use it at least 3 times a week. You will still see results. But here's the thing - consistency is what matters. You need to follow through with this consistently to actually see results. I'm positive this will help you out! I'm very glad to help, and wish you all the best!